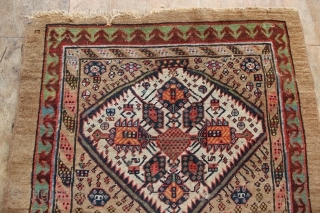 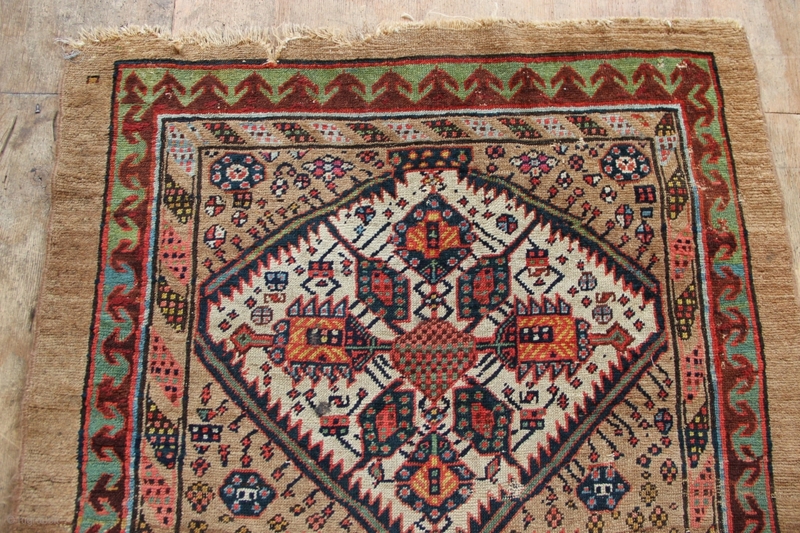 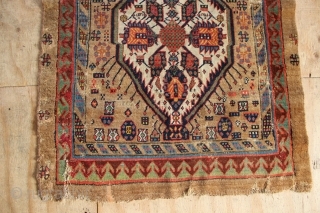 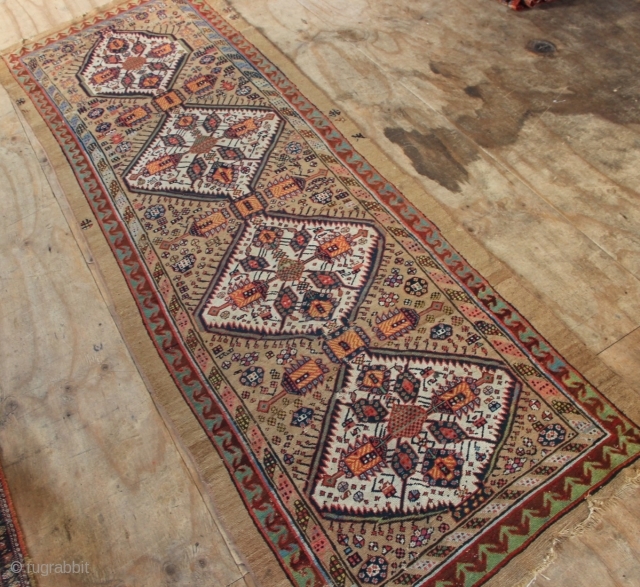 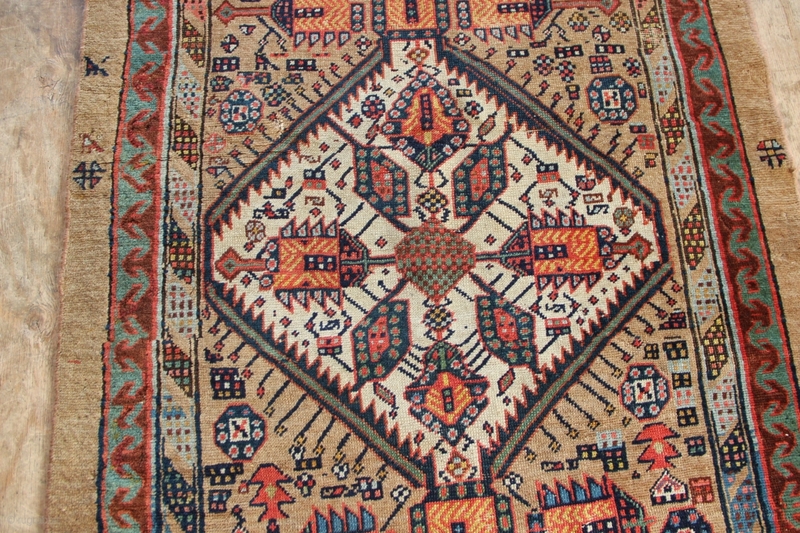 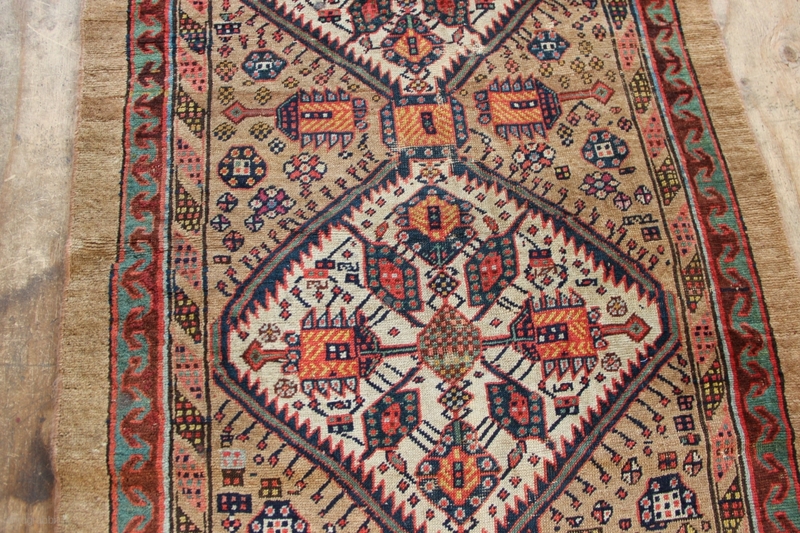 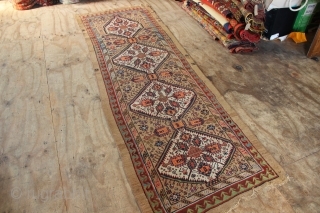 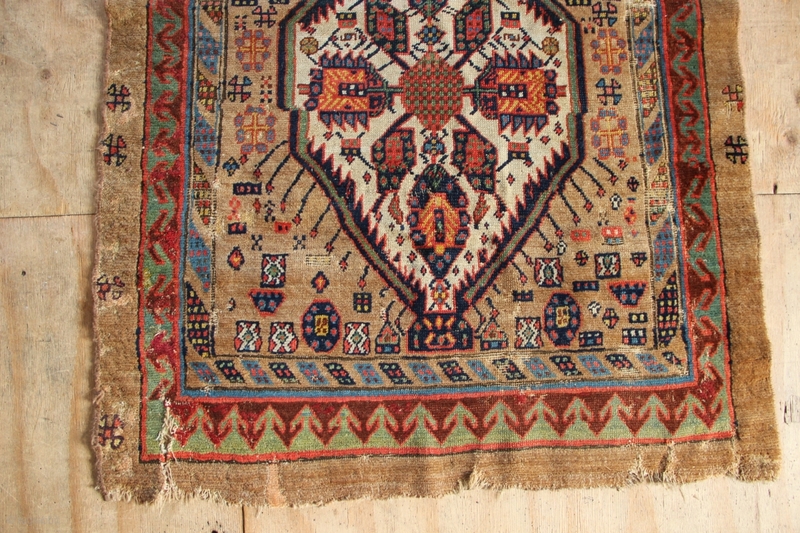 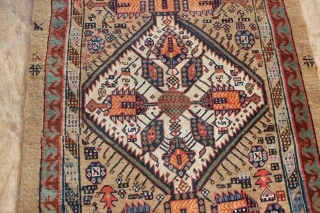 19th century Sarab runner with a wide range of rich natural dyes, in slightly worn condition. 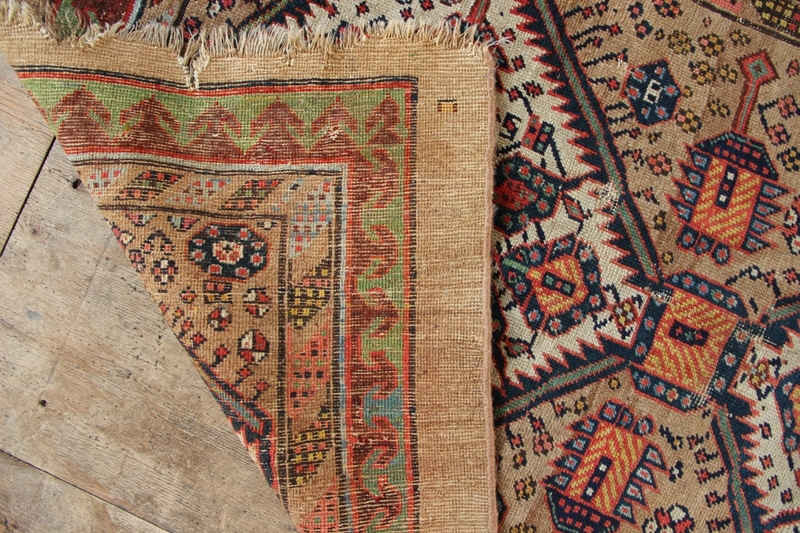 Missing sides, raggedy at one end. Great restoration opportunity! 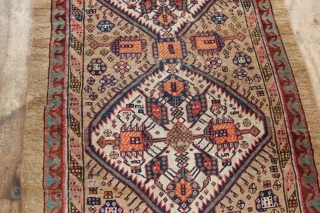 3'1.5" x 9'10"